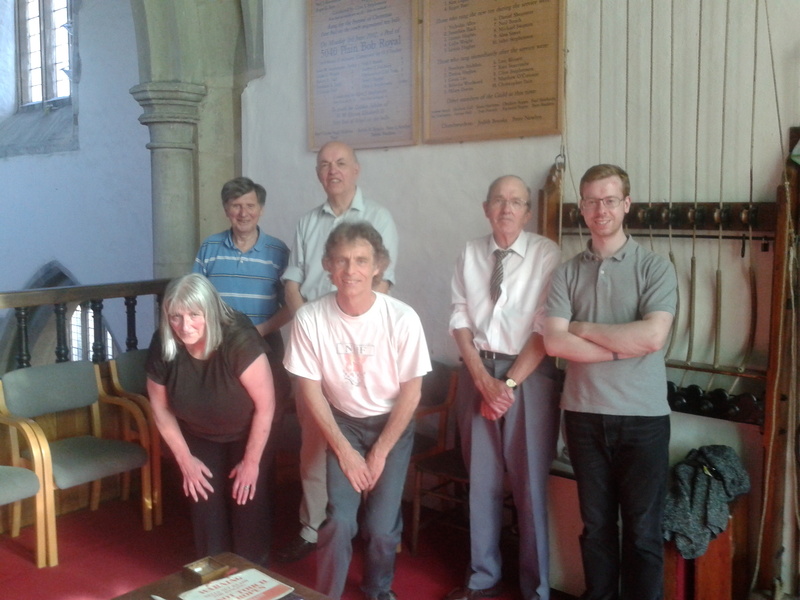 A group of ringers from St Andrew’s joined with some ringers from St Christopher’s church in Willingale for a practice on 17th June 2017. The ringing included some call changes and plain hunt on the recently restored and augmented ring of 6. The morning concluded with a substantial meal at The Black Bull in Fyfield, a short distance away. 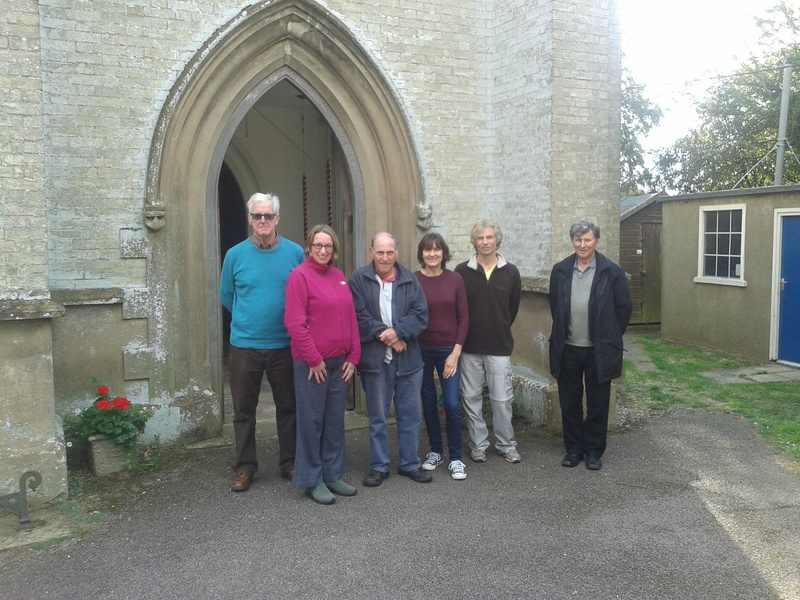 Clive, Eileen, Rosemarie, Carol, Jane, Michelle and Lisa outside the south porch of Willingale church. When St Andrew’s bells rang half-muffled for the internment of the ashes of Betty and George Pugh on 16th June 2017, there was an historical connection to a previous Hornchurch bell ringer. Betty Pugh (ne Jarvis) was the niece of John Jarvis who was a St Andrew’s bell ringer in the early part of the 20th Century. Betty was the mother of four sons; Antony, Malcolm, Nigel and Chris Pugh who knew about the connection and that their Great Uncle’s name was on a peal board in St Andrew’s tower. 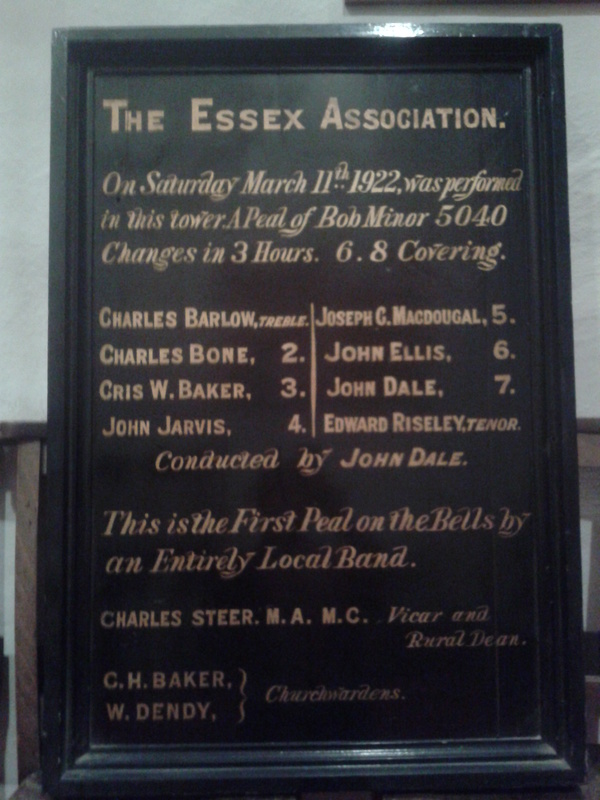 John Jarvis was a member of the band that rang a peal on the 8 bells of Hornchurch in 1922. The peal was significant because, although it was the 35th peal on the 8 bells, it was the first peal by a local band on the 8 bells. A peal by a local band is always difficult to achieve and explains why a peal board was produced to commemorate the event. The photograph shows the four Great Nephews with the peal board delighted that their Mother and Great Uncle have been remembered in this way. 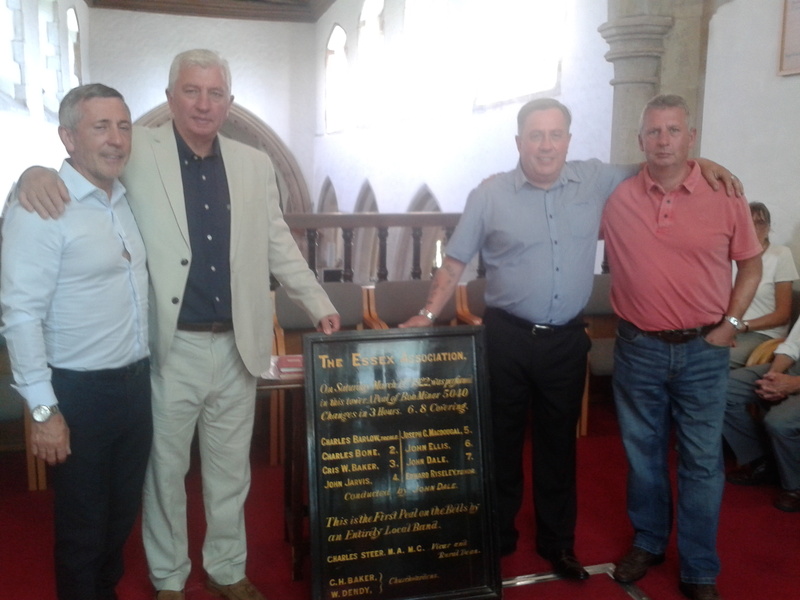 Antony, Malcolm, Nigel & Chris Pugh with the peal board that commemorates their Great Uncle’s peal in 1922. 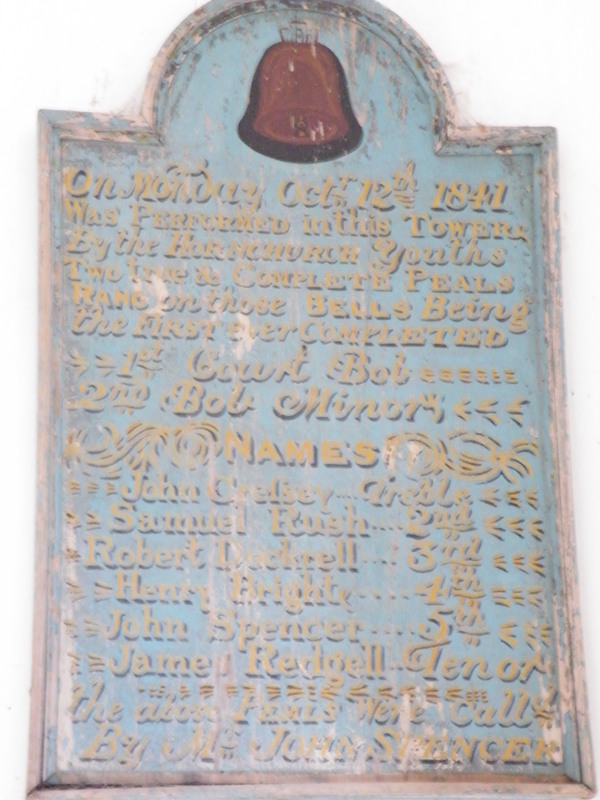 Another photograph shows the historical peal board in more detail. Our records show that John Jarvis rang just the one peal at St Andrew’s, Hornchurch. Terry Thornhill, from Holy Cross in South Ockendon, started learning her bell ringing at St Andrew’s several years ago. In 2011, Holy Cross installed their own set of 8 bells and Terry has rung regularly for services and practices at Holy Cross ever since. Terry has also maintained her connection with St Andrew’s and when given the opportunity to attempt her first quarter peal at St Andrew’s, she jumped at the chance. The quarter peal was successfully achieved for Evening Worship on Sunday 21st May with the additional pleasure of celebrating the safe arrival of a new baby boy for some close friends at Holy Cross. Also to celebrate the birth of Henry George Withers on 13th May 2017, a son for Rebecca and Aaron. St Andrew’s bell ringer, Ethan Musham, rang continuously for 45 minutes prior to Evensong on Sunday 26th March to achieve his first quarter peal at the first attempt. He rang the treble to Plain Bob Doubles and skilfully moved the position of his bell for 1260 changes along with the five other ringers. At 16 years of age, this is a significant achievement for Ethan which deserves the congratulations of the whole band. Well done! For Evensong and to welcome Oliver Arthur Gabriel Pope, a son for Charlotte and Nick, born on 24th March 2017. First quarter peal – 1. On Sunday 15th January 2017, St Andrew’s bell ringer Jane Harper, successfully completed her first quarter peal at the first attempt. She rang the treble to Plain Bob Doubles and, along with 5 other ringers, rang continuously for about 45 minutes, pulling the rope 1260 times. Congratulations to Jane from the entire band. 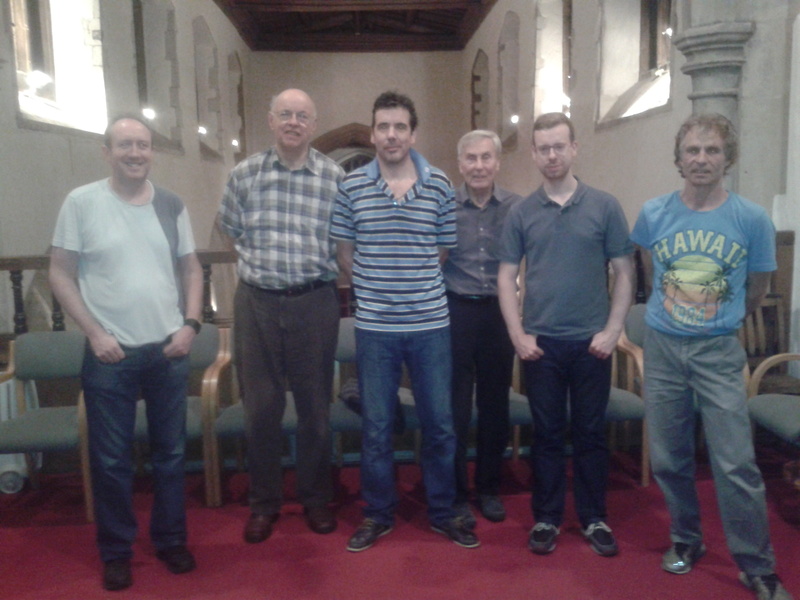 St. Andrew’s bell ringers recently got involved in a National campaign to raise money for various blood cancers including the Anthony Nolan Trust. The campaign has been inspired by a bell ringer called Julie McDonnell who herself has had three leukaemias and now has brain cancer. She devised a number of bell ringing methods named after herself (e.g. Julie McDonnell Bob Doubles) whilst at the same time acquiring huge sponsorship from celebrities and businessmen and women. The sponsorship money is paid in return for ringing quarter peals of ‘Julie McDonnell’ methods, which are moderately difficult by bell ringing standards. £10,000 has already been paid for reaching a total of 100 quarter peals nationally and a further £60,000 pledged if the total reaches 200. For Advent Carol Service and to congratulate James and Rebecca Matthews on the birth of their daughter, Rose Alice, on 20th November 2016. First in method by all. For Evensong and to congratulate John Stephenson on his 86th birthday. First on 8 for the tenor. First in method – 3,4,5. Congratulations to Paul Shrubsole who achieved his first quarter peal on a working bell prior to Evensong on Sunday 30th October 2016. He rang the treble for about 45 minutes to Plain Bob Doubles. First quarter away from cover – 1. On the 175th anniversary we made a return visit and rang a quarter peal (1260 changes) of Double Court and Plain Bob Minor. These may not be exactly the same methods that were rung in 1841, but the precise details are lost in the mists of time. The ‘true and complete peals’ rung then would have been 720 changes each. A board in the Hornchurch tower records a similar performance rung some months later by almost exactly the same ringers. Rung to commemorate the 175th anniversary of the opening of Bobbingworth bells on 12th October 1841 by the ‘Hornchurch Youths’, who rang 2 ‘peals’ (extents) of the same methods. First of Double Court – 2. 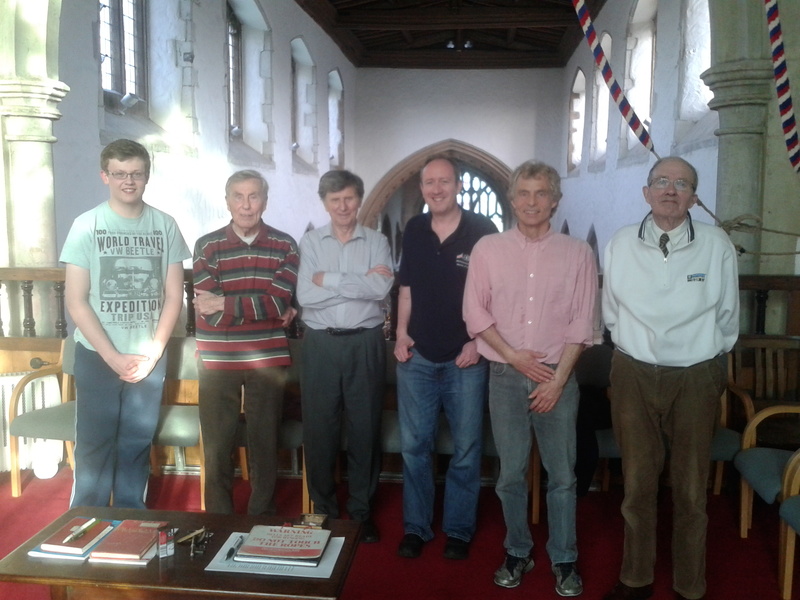 Our thanks are due to Bobbingworth (sometimes known as Bovinger) Church and their ringers for the use of their bells. For a new method to be named, it has to be rung to a full peal. 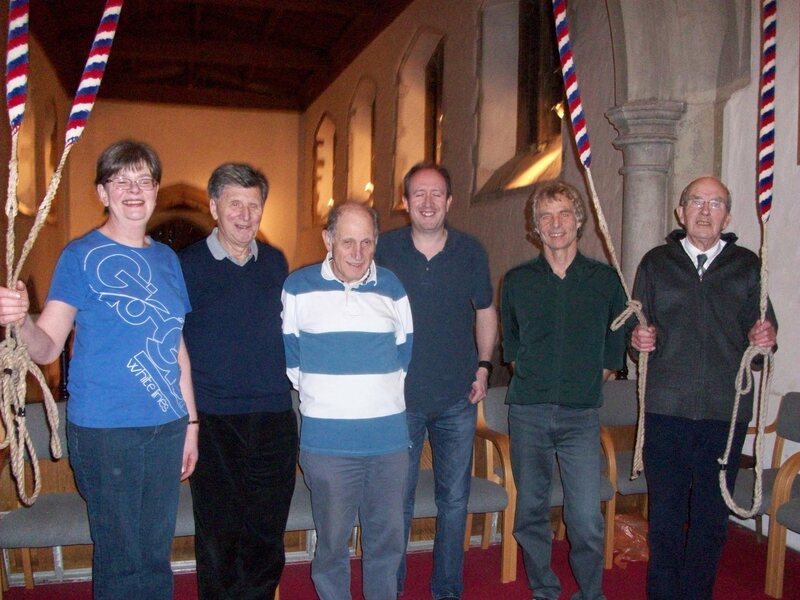 At St Andrew’s we named a new method ‘Hornchurch Surprise Major’ after ringing it to a peal on Christmas Eve 1996.